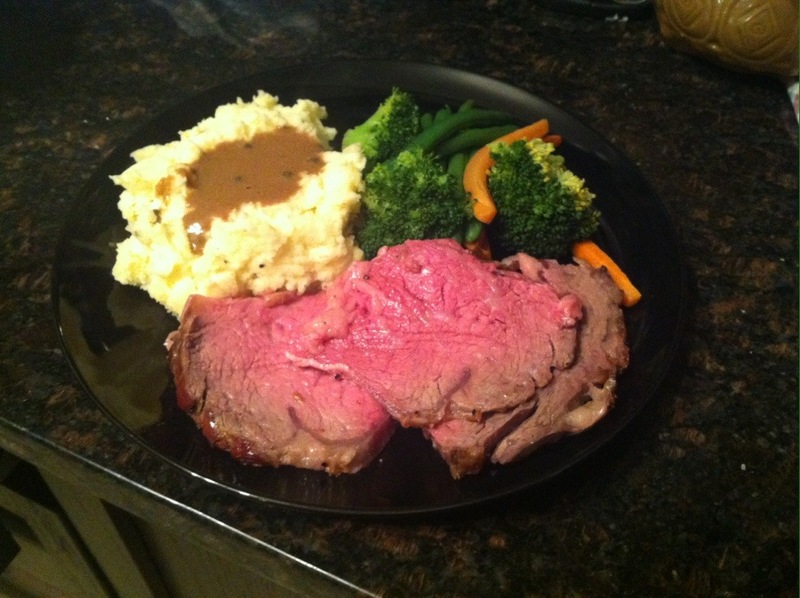 Haven’t quite mastered the perfect prime rib? Look no farther! Thus method will guarantee a perfect roast to your desired temperature. Remove the roast from the fridge 30-45 minutes before cooking. The roast should be brought close to room temperature first, to allow even cooking. Remove any fat more than an inch thick. The fat is what provides the flavor and what you are paying for with prime rib, so you want to leave it on. Your butcher should have removed any excess fat. Preheat your oven to 500°F, or the highest it will go. Generously season the roast with salt and pepper. Place the roast, fat side up, rib side down in a roasting pan in the oven. After 15 minutes on 500°F, reduce the heat to 325°F. For example, with a 10 pound roast, you would expect 2 1/2 hours of total cooking time – 15 minutes at 500° and 2 1/4 hours at 325°. The actual cooking time will depend on the shape of the roast and your particular oven. A flatter roast will cook more quickly than a thicker one. So make sure to use a meat thermometer. This is not a roast to “wing it”. Once the roast has reached the desired internal temperature, remove it from oven and let rest 20 minutes, covered with aluminum foil. The roast will continue to cook while it is resting. With scissors, cut the strings which attach the meat to the bones. 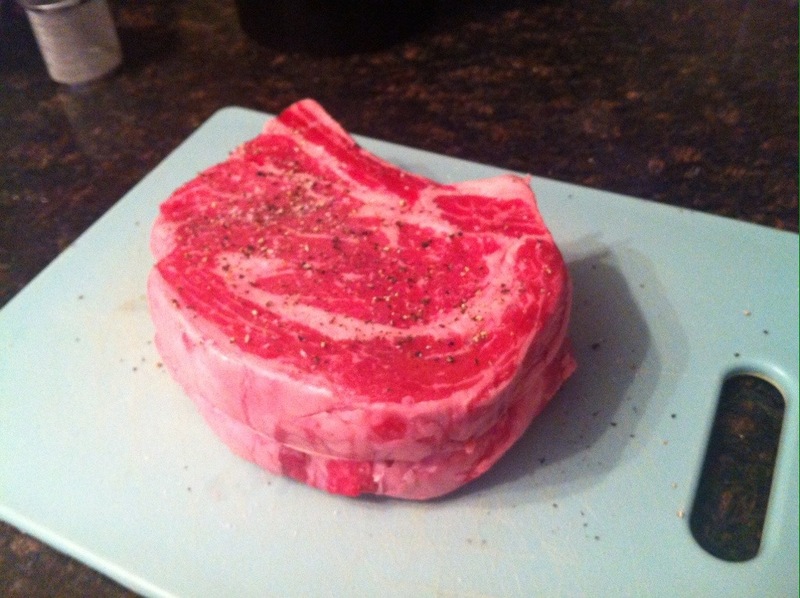 Remove the bones, then slice meat across the grain for serving, making the slices about 1/4-1/2 inch thick. To make the gravy, remove the roast from the pan. Place pan on stove on medium high heat. Pour off all but 2 tablespoons of the drippings to a separate container. Into the 2 tablespoons of drippings in the pan stir in 1 to 2 tablespoons of flour. Stir with a wire whisk until the flour has thickened and the gravy is smooth. Continue to cook slowly and stir constantly. Slowly add back the previously removed drippings. In addition add either water, milk, stock, cream or beer to the gravy, enough to make 1 cup. Season the gravy with salt and pepper and herbs.